How are Americans navigating the changing media landscape, and what does that mean for our democracy? In 2017, Knight Foundation launched a major initiative to support the role of strong, trusted journalism as essential to a healthy democracy. The initiative advances a multi-disciplinary approach to addressing problems of misinformation and declining trust in media by supporting technologists, journalists, academic institutions and others passionate about solving the information challenges of our day. 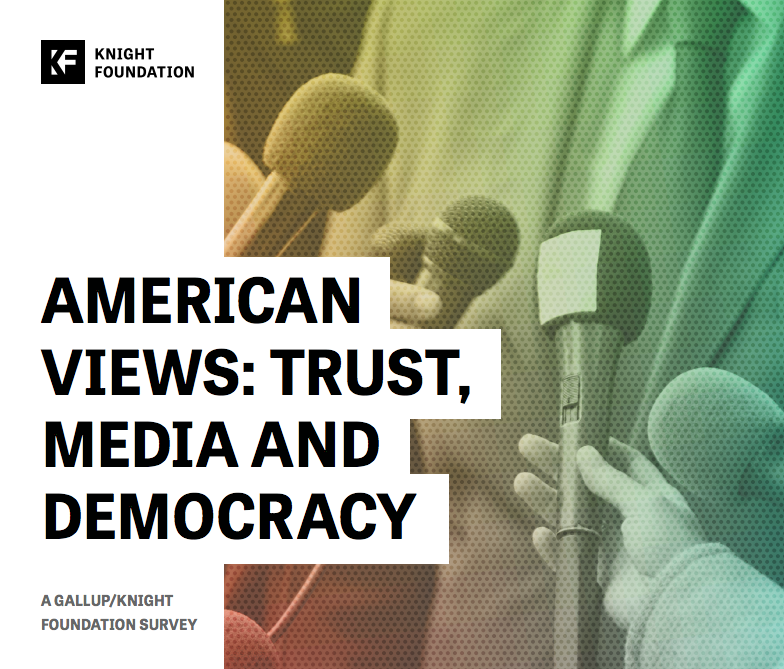 In addition to grantmaking, Knight has partnered with Gallup on a research series to better understand Americans’ evolving opinions of the media and inform solutions . The foundation also launched the Knight Commission on Trust, Media and Democracy comprised of experts from diverse backgrounds committed to creating more informed and engaged communities. The nonpartisan commission, produced and supported by Knight and Aspen Institute, released a major report in February 2019 exploring the causes for the erosion of trust in democratic institutions, in particular the press. 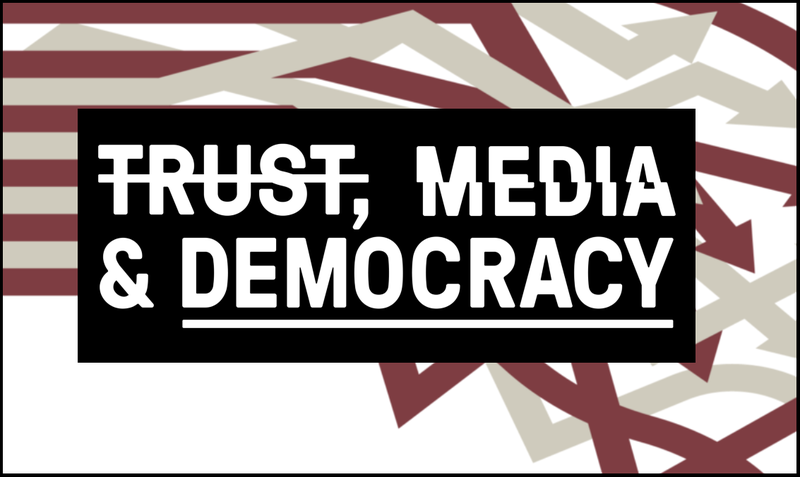 Visit our "Trust, Media and Democracy" publication on Medium to share your ideas on what we can do, as a society, to increase trust. In January 2018, the Gallup-Knight Foundation report on Trust, Media and Democracy was released, providing one of the most extensive and in-depth looks at the elements of trust in media at a time of significant disruption. The report which surveyed 19,196 U.S. adults, aged 18 and older, revealed that most Americans believe it is now harder to be well-informed and to determine which news is accurate. They increasingly see the media as biased and struggle to identify objective news sources. Read the report. Building on this work, Gallup conducted an additional survey and further experiments to explore how people interact with the news—specifically, their views on misinformation, bias and the accuracy of news, as well as the sources they find trustworthy or not. In 2017, Knight Foundation and The Aspen Institute Communications and Society Program established the Knight Commission on Trust, Media and Democracy. Currently, trust in the major institutions of American democracy has fallen to troubling lows amid a rapidly changing information ecosystem. Without trust, democracy cannot function. It is, therefore, the Commission’s charge to examine the causes and consequences of a collapse in trust in democratic institutions, with a focus on trust in the media, journalism and the information ecosystem. In addition, the Commission seeks to identify the perennial and emerging values and social obligations that should guide those who produce, distribute and consume news and information to ensure a functioning democracy. 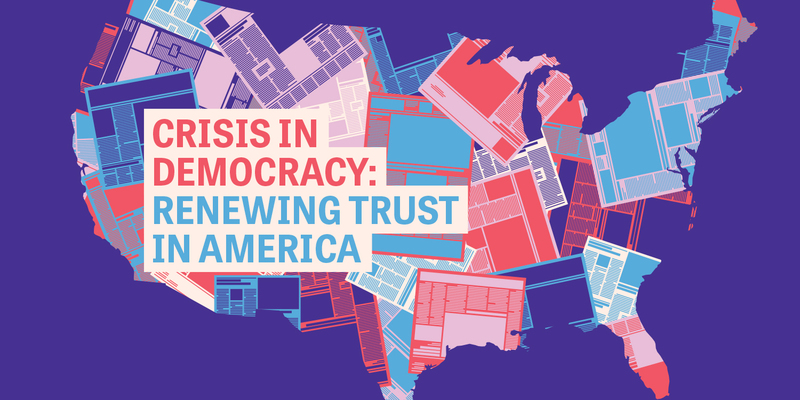 After a year of work, the Commission released its report, “Crisis in Democracy: Renewing Trust in America,” that puts forward solutions for the sharp decline in trust in democratic institutions, including the media. DRAFT Chapter 2: What Happened to Trust? As part of our effort to explore the root causes of the current crisis in trust in the media, Knight Foundation is commissioning a continuing series of white papers from academics and experts. Here’s what we’ve learned so far. Diversity isn't what divides us. Division is what divides us.